Note: Check the revised paper on this topic. The substance is the same, but it is a more coherent development. I am going to expose a bright shining lie in (quantum) physics in this post: what is referred to as the electron’s anomalous magnetic moment is actually not a magnetic moment, and it is not anomalous. Let’s start with the first remark. The anomalous magnetic moment is not a magnetic moment. It is just some (real) number: it’s a ratio, to be precise. It does not have any physical dimension. If it would be an actual magnetic moment then we would measure it as we usually do in the context of quantum mechanics, and that is in terms of the Bohr magneton, which is equal to: μB = qeħ/2m ≈ 9.274×10−24 joule per tesla. So what is the electron’s anomalous magnetic moment – denoted by ae – then? 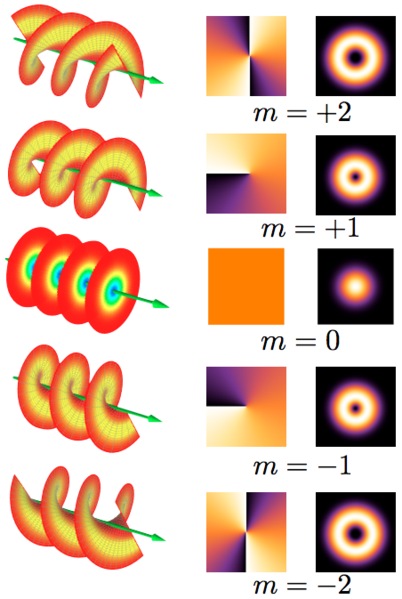 It is defined as the (half-)difference between (1) some supposedly real gyromagnetic ratio (ge) and (2) Dirac’s theoretical value for the gyromagnetic ratio of a spin-only electron (g = 2): This immediately triggers an obvious question: why would we use the g-factor of a spin-only electron. 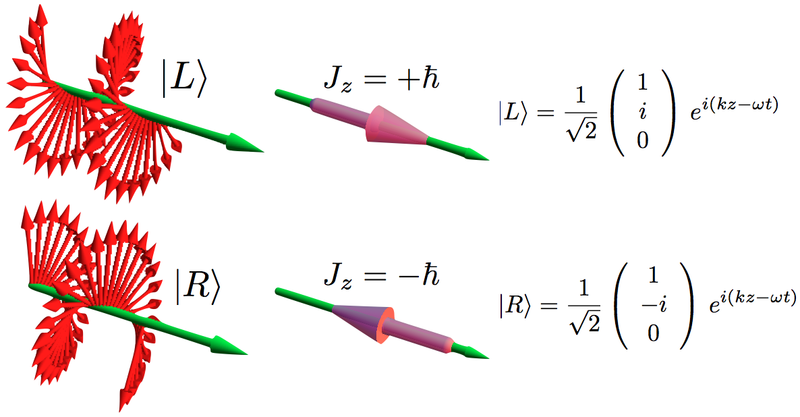 This is a very weird thing to do, because the electron in the cyclotron (a Penning trap) is actually not a spin-only electron: it follows an orbital motion – as we will explain shortly. So… Well… It is also routinely said (and written) that its measured value is equal to 0.00115965218085(76). The 76 (between brackets) is the uncertainty – which looks pretty certain, because it is equal to 0.00000000000076. Hence, the precision here is equivalent to 76 parts per trillion (ppt). It is measured as a standard deviation. However, the problem is that these experiments actually do not directly measure ae. What is being measured in the so-called Penning traps that are used in these experiments (think of them as a sort of cyclotron) are two slightly different frequencies – an orbital frequency and a precession frequency, to be precise – and ae is then calculated as the fractional difference between the two: Let us go through the motions here – literally. The orbital frequency fc is the cyclotron frequency: a charged particle in a Penning trap will move in a circular orbit whose frequency depends on the charge, its mass and the strength of the magnetic field only. Let us give you the formula (we will derive it for you in an instant): The subscript c stands for cyclotron – or circular, if you want. We should not think of the speed of light here! In fact, the orbital velocity is a (relatively small) fraction of the speed of light and we can, therefore, use non-relativistic formulas. The derivation of the formula is quite straightforward – but we find it useful to recap it. It is based on a simple analysis of the Lorentz force, which is just the magnetic force here: F = v(q×B). Note that the frequency does not depend on the velocity or the radius of the circular motion. This is actually the whole idea of the trap: the electron can be inserted into the trap with a precise kinetic energy and will follow a circular trajectory if the frequency of the alternating voltage is kept constant. This is why we italicized only when writing that the orbital frequency depends on the charge, the mass and the strength of the magnetic field only. So what is the derivation? The Lorentz force is equal to the centripetal force here. We can therefore write: The v2/r factor is the centripetal acceleration. 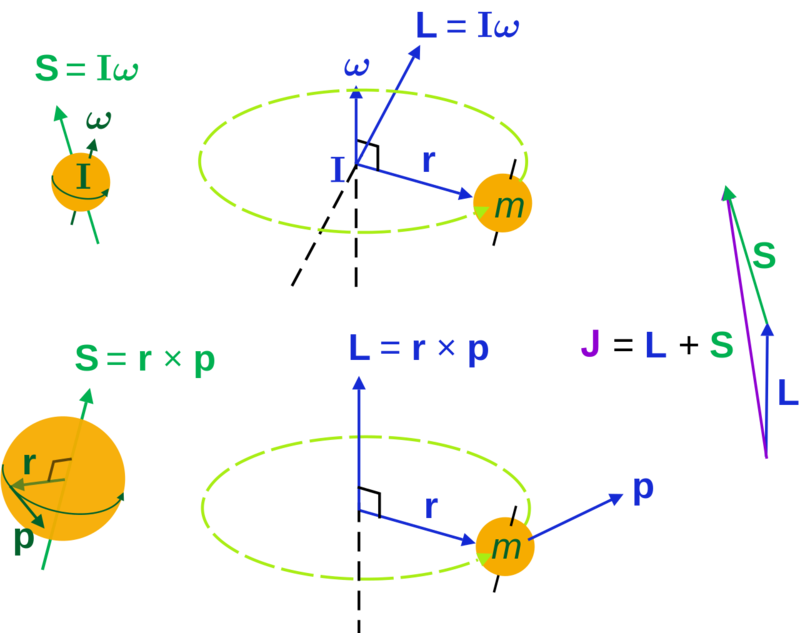 Hence, the F = m·v2/r does effectively represent Newton’s force law. The equation above yields the following formula for v and the v/r ratio: Now, the cyclotron frequency fc will respect the following equation: Re-arranging and substituting v for q·r·b/m yields: The associated current will be equal to: Hence, the magnetic moment is equal to: The angular momentum – which we will denote by – is equal to: Hence, we can write the g-factor as: It is what we would expect it to be: it is the gyromagnetic ratio for the orbital moment of the electron. It is one, not 2. Because gc is 1, we can write something very obvious: We should also note another equality here: Let us now look at the other frequency fs. It is the Larmor or precession frequency. It is (also) a classical thing: if we think of the electron as a tiny magnet with a magnetic moment that is proportional to its angular momentum, then it should, effectively, precess in a magnetic field. The analysis of precession is quite straightforward. The geometry of the situation is shown below and we may refer to (almost) any standard physics textbook for the derivation. It is tempting to use the equality above and write this as: However, we should not do this. The precession causes the electron to wobble: its plane of rotation – and, hence, the axis of the angular momentum (and the magnetic moment) – is no longer fixed. This wobbling motion changes the orbital and, therefore, we can no longer trust the values we have used in our formulas for the angular momentum and the magnetic moment. There is, therefore, nothing anomalous about the anomalous magnetic moment. In fact, we should not wonder why it is not zero, but – as we will argue – we should wonder why it is so nearly zero. Let us continue our analysis. It is, in fact, a bit weird to associate a gyromagnetic ratio with this motion, but that is what the physicists doing these experiments do. We will denote this g-factor by gp: Hence, we can write the following tautology: You can verify that this is nothing but a tautology by writing it all out: We can, of course, measure the frequency in cycles per second (as opposed to radians per second): Hence, we get the following expression for the so-called anomalous magnetic moment of an electron ae: Hence, the so-called anomalous magnetic moment of an electron is nothing but the ratio of two mathematical factors – definitions, basically – which we can express in terms of actual frequencies: Our formula for ae now becomes: Of course, if we use the μ/J = 2m/q equality, then the fp/fc ratio will be equal to 1/2, and ae will not be zero but −1/2: However, as mentioned above, we should not do that. The precession causes the magnetic moment and the angular momentum to wobble. Hence, there is nothing anomalous about the anomalous magnetic moment. We should not wonder why its value is not zero. We should wonder why it is so nearly zero. Needless to say, the tesla is the SI unit for the magnitude of a magnetic field. We can also write it as [B] = N/(m∙A), using the SI unit for current, i.e. the ampere (A). 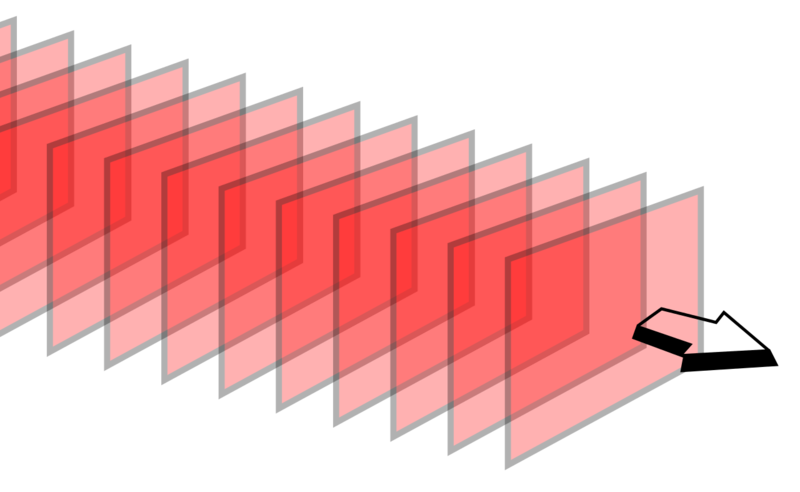 Now, 1 C = 1 A∙s and, hence, 1 N/(m∙A) = 1 (N/C)/(m/s). Hence, the physical dimension of the magnetic field is the physical dimension of the electric field (N/C) divided by m/s. We like the [E] = [B]·m/s expression because it reflects the geometry of the electric and magnetic field vectors. See: Physics Today, 1 August 2006, p. 15 (https://physicstoday.scitation.org/doi/10.1063/1.2349714). The article also explains the methodology of the experiment in terms of the frequency measurements, which we explain above. See: G. Gabrielse, D. Hanneke, T. Kinoshita, M. Nio, and B. Odom, New Determination of the Fine Structure Constant from the Electron g Value and QED, Phys. Rev. Lett. 97, 030802 (2006). More recent theory and experiments may have come up with an even more precise number. Our derivation is based on the following reference: https://www.didaktik.physik.uni-muenchen.de/elektronenbahnen/en/b-feld/anwendung/zyklotron2.php. 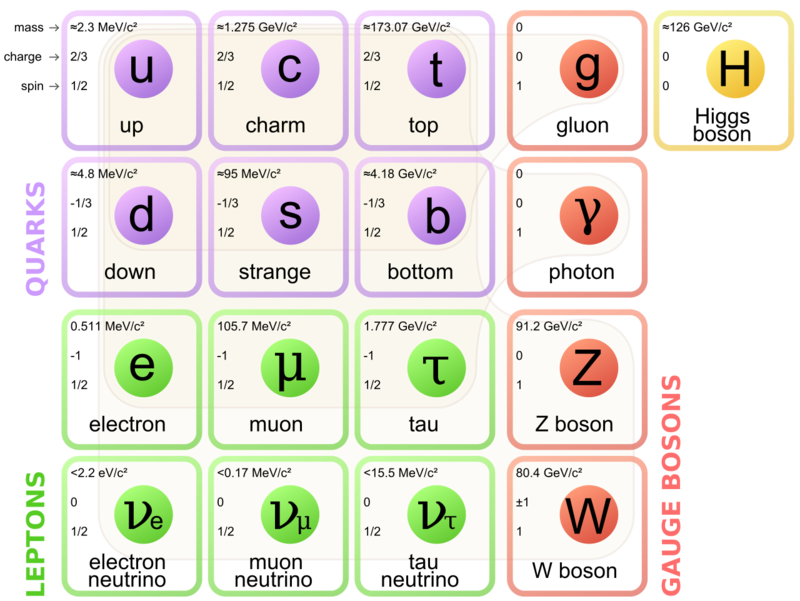 J is the symbol which Feynman uses. In many articles and textbooks, one will read L instead of J. Note that the symbols may be confusing: I is a current, but I is the moment of inertia. It is equal to m·r2 for a rotating mass. We like the intuitive – but precise – explanation in Feynman’s Lectures (II-34-3), from which we also copied the illustration.